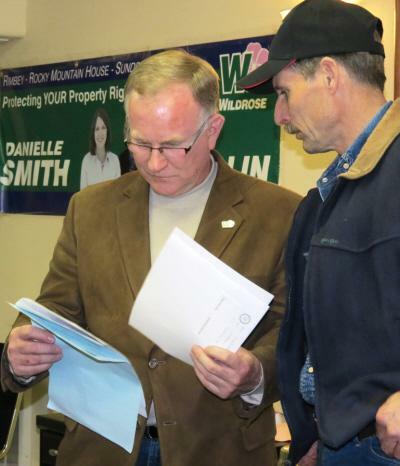 Wildrose Critic to Bird-Dog AltaLink Power Lines | R.E.T.A. Anglin beat out incumbent PC MLA, Ty Lund, by about 1,500 votes in the April 23 provincial election (Rimbey Review). Wildrose Leader Danielle Smith recently appointed Anglin the Opposition Critic for environment, water and utilities. For many years, Anglin has been a well-recognized and outspoken critic of the Alberta government’s mishandling of electricity generation and transmission. He has criticized the passing of several pieces of legislation that have taken away any public input on the need for all the new 500kV power lines planned by the government, diminished private landowner rights in relation to high voltage power lines, and concentrated transmission infrastructure decision-making in Cabinet. RETA, and perhaps the vast majority of Albertans, look forward to Anglin asking the PC Government the tough questions that need to be asked about power generation and transmission in Alberta. ~ by RETA on May 3, 2012.